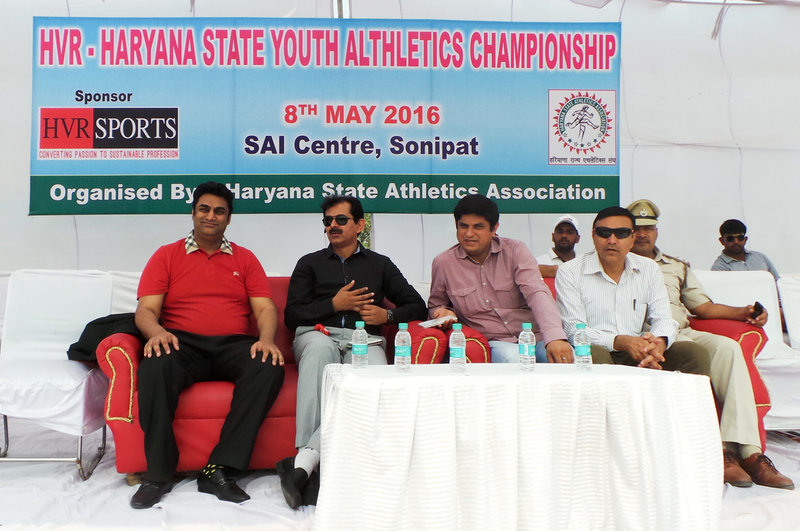 The Haryana State Athletics Association has received monetary assistance from HVR Sports INC, a mega sports company. Chairman of HVR Sports INC, Harshavardhan Reddy, is a young and passionate entrepreneur with a keen interest in sports and its development in the country.HVR Sports offered comprehensive support to the selection meet of Haryana Athletics Championship for the under -18 category at Sonipat in Haryana on May 8th. The championships will be held between May 26 and 28th. Haryana state has a number of athletes who have shown considerable promise and have the potential to represent India at world championships.Over the years, the association has through up a bundle of talent both in case of men as well as women athletes in a number of categories from short to long distances running, high jump, long and triple jumps, hurdle, steeple chase, relay medleys, shot put, javelin, hammer, pole vault, etc. Some have gone on to don the colours of India in world championships and the Olympics. Haryana’s pride at the moment is shot putter Inderjeet Singh, who is the national record holder and Asian champion. He has also qualified for Olympics 2016 scheduled to be held in RIO has witnessed the event along with Mr. Surender Singh Dahiya President of Sh. Tikaram Education Society Sonipat and District Athletics association. The May 8th competition to spot junior athletes had a successful run, with a number of sports persons qualifying for the Championship to be held between May 26-28.Sumit (Kaithal) the winner, Vijay ( Rohtak) and Rahul (Jhajjar) were the runner up of 10000 mt race. HVR Sports with a vision of converting passion into sustainable profession has associated with over fifty sports disciplines in the country with a view to promote such sports and sports persons in their pursuit of national and international honours.